One person, one computer, 1374 dancing drones and a new world record. Last week, Chinese drone manufacturer EHang (most famous for their plans to launch a human-carrying drone) claimed the world record for the most UAVs simultaneously airborne with a 13-minute light show above the city of Xi’an. The Labour Day performance was to include Chinese characters, the date, shapes and the number of drones flying (1374). However, there were a few hitches, and the drones failed to spell out the date and the record-setting number of drones. Some reports have suggested interference from mobile phones (over 100,000 people were in attendance) may be to blame. US technology giant Intel held the previous world record after flying 1218 drones at the 2018 Pyeongchang Winter Olympic Games in February. Check out footage of EHang’s record making drone light show. Are Drone Light Shows New? Not really. 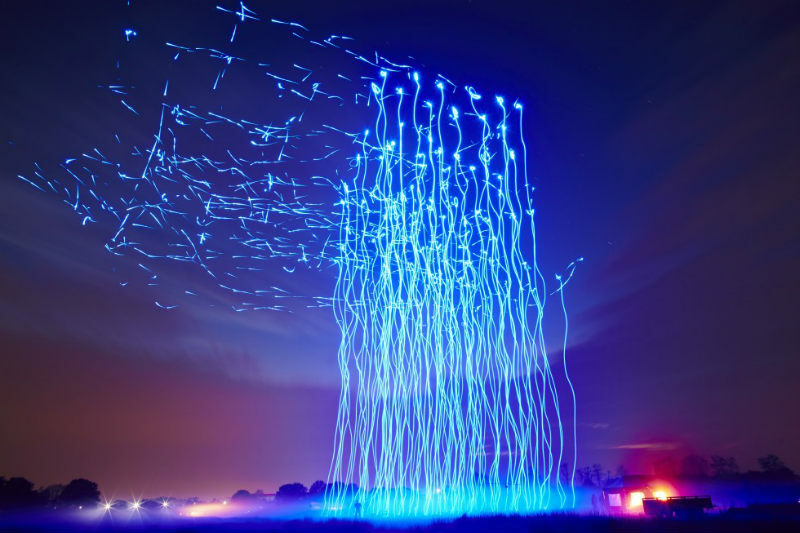 Intel has been leading the way in drone light shows since 2016. Every month we talk about new and exciting ways drones are being put to use all over the world. It’s clear that drones are here to stay and as the technology is refined, unmanned aerial vehicles will undoubtedly be deployed in more industries.